In Venezuela, public procurement is regulated by different statutory instruments. The main piece of legislation applicable to public procurement is the Public Procurement Act 2009 (PPA).2 The PPA is applicable to all contracts except those for the execution of works, acquisition of goods and provision of services, which are within the framework of international cooperation agreements between Venezuela and other states; employment contracts; real estate and financial leasing; and the sponsorship of sports, art, literature, science and academia. The authority in charge of enforcement of the PPA is the National Contracting Service, which oversees compliance with the PPA by the contracting authority and contractors. The Rationality and Uniformity Law in Public Contracting (EWA)3 was enacted by the constituent assembly in January 2018. Although the EWA is an independent piece of legislation, it is essentially an amendment to the PPA aimed at modifying certain rules of the bidding procedure and the enrolment of contractors in the national contractors registry. There is also the Simplification of Proceedings for the Exportations and Importations of State-owned Companies Act 2009, which was published in the Extraordinary Official Gazette No. 5,933. This statutory legislation allows state-owned companies previously authorised by the central planning commission to use the direct adjudication of the contract in all their contracts for the procurement of goods from foreign providers. Since the last modification of the PPA, the Fair Prices Act is applicable to public procurement matters, and must be taken into account for the contracting entity when preparing the basic budget of the project and by the bidder when preparing their offers. Finally, there is the Decree-Law for the Promotion of Private Investment under the Concessions Regime 1998 (DLPPICR), which regulates the way private investors may enter into concession contracts for the building and exploitation of infrastructure and the provision of services offered by the national government. The most relevant development in the past year has been the de-enactment of the EWA by the constituent assembly in January 2018. Although the constituent assembly does not have legal or constitutional powers for the enactment of statutory instruments or ‘Constitutional Acts’, the fact that the Supreme Tribunal of Justice has not set this law aside allows its enforcement by the government. d establishment of new criteria for determining advantages to the national industry in the bidding proceedings for the adjudication of contracts. g community councils or any other community organisation handling public funds. j the provision of services and execution of works entrusted to other public entities. Framework agreements are defined in Article 6.33 of the PPA and widely regulated in the Regulations of the PPA. Article 6.33 and Regulation 2 of the PPA define the framework agreements as the contract establishing the unit price for the allowances composing the acquisition of goods, provision of services and building works with a maximum total amount for the contract, which will be performed through purchase orders, establishing the terms and conditions of the particular requirement. The public entity will not be obliged to issue purchase orders for a given amount or pay the upper limit of the price established in the contract. The terms and conditions of the framework agreement is deemed as incorporated in the purchase orders. Article 7 of the PPA Regulations obliges public entities to consider framework agreements when the preparatory activities lead to the conclusion that the recurrence of the object of the contract makes it viable to use a single bidding proceeding for the adjudication of a framework agreement. According to Article 90, the contracting entity is required to elaborate a global estimate of the price limit and quantities to be included in the list of the price of the framework agreement. On the basis of this amount, the contracting entity will be obliged to apply the corresponding bidding proceeding. The price of each unit will be set by the contracting entity on the basis of the offers submitted (if the requirements exceed the limits). 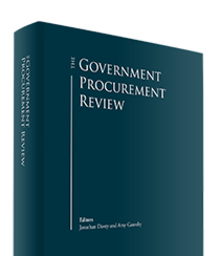 The PPA also provides for a different kind of framework agreement in Article 6.34, where the service of national contractors selects providers for the contracting entities to purchase goods and services offered through electronic catalogues. This kind of framework agreement will be executed directly by the contracting entity. Public joint ventures and public authorities are not required to participate in bidding procedures, and contracts will be awarded directly to them in accordance with Article 5 of the PPA. Therefore, public joint ventures and other public entities are allowed to supply their parents with goods, services or works without a prior procurement process. In the case of public–private partnerships (PPPs), the rules apply in their full extent unless the public partner is a subsidiary of a state-owned company. Since the PPA applies only to state-owned companies and their subsidiaries, in this case, a PPP would be out of the scope of the PPA. When the private sector partner is participating in a project under the DLPPICR, the choice of such a partner must have been done through a competitive bid in accordance with the PPA rules for the open contest. The Organic Law on Hydrocarbons establishes rules for the incorporation of PPPs, but the bidding process is not established in this statute. All contracting entities are obliged to publish the call for bids on their websites when the contract is to be awarded through an open contest. All calls for bids must also be published on the website of the national contracting service. In both cases, the call must remain online until the day before the receipt of the bids. Article 79 of the PPA allows public entities to publish the call for bids in open contests in the national, regional or local media, particularly where building works are concerned. In the case of open international contests, the call for bids may be published in foreign media if authorised by the central planning commission. e the bidding procedure applicable. • separate hearings for the submission of the letter of intent, which will be received in the first hearing to evaluate who is qualified to submit an offer and who will be called for the second hearing for the submission of the offer. d direct award: this is the only procurement procedure related to exceptional circumstances and not the value of the contract. The PPA allows awarding authorities to use electronic auctions. To be able to participate, the call for bids must be under the principle of neutrality and include the technical specifications of the technology used in the bidding process. Once an offer has been submitted, it cannot be amended. It is possible for the contracting entity to change the conditions of the bid up to two days before the hearing (whichever is first, in accordance with the applicable procedure). e if the contracting entity determines that the participant has submitted false information. The aforementioned rules only apply to bidding procedures for the adjudications of contracts within the scope of the PPA and for the adjudication of concessions in accordance with Article 12 of the DLPPICR. In Venezuela, conflicts of interest with regard to public officials gives rise to disciplinary and administrative sanctions, as established in the Statute of Public Function Act, which provides for the removal of the public official. These administrative sanctions are provided for in the Controller General’s Office and National System of Accountability Act, which establishes sanctions that vary from a fine to the suspension of the official for up to 24 months, or his removal and prohibition from performing a role in the public sphere for up to 15 years. The Organic Law on Administrative Proceedings also provides for remedies in the case of conflicts of interest with regard to public officials, who may be challenged by the participants in public procurement procedures. Foreign suppliers may bid unconditionally. While domestic value added (DVA) enables local companies to obtain better assessment, it may be applicable to foreign bidders if they employ a local workforce or use local products, and under other similar conditions. Foreign bidders are also allowed concession contracts, provided they are able to give evidence of their financial and technical capabilities, among others. Once the offers are submitted, the awarding authority is obliged to evaluate them on the basis of the information provided in the tender documents. Particularly, Article 66.13 of the PPA provides a system of evaluation that determines the points reached by the offers and the weight given to each factor, including price. The awarding authority is free to determine the value to be given to each criteria, and the lowest price is not always the most important factor. In the Venezuelan system, the concepts of public policy and national interest are found in every aspect of public law, and contracts are no exception. Article 151 of the Venezuelan Constitution provides for a relative Calvo Clause when it includes the compulsory jurisdiction of Venezuelan courts of law and Venezuelan law for contracts of public interest, when their nature does not allow otherwise. In concession contracts, the DLPPICR provides that, in projects originated by private parties, some of the key requirements for the assessment by the authorities are the description of the social benefits that the project may bring, and the study of environmental impact. Also, all bidders for contracts within the scope of the PPA are obliged to include a social responsibility commitment that would not exceed 3 per cent of the price of the contract and may be offered in money or products, building works or services. Domestic suppliers are given some possibilities to level the playing field with foreign bidders. Chapter III of the PPA is focused on ‘Measures for the Promotion of Economic Development’ and gives the President the power to establish categories of contracts to be awarded to local bidders, incorporation of goods produced in Venezuela, transfer of technology, hiring of local staff and workforce, and others. When offers differ by less than 5 per cent from the best offer, the awarding authority must award the contract to the offer with the largest DVA when it concerns the procurement of goods. When the contract is for building works, the award will be for the bidder headquartered in Venezuela that has the largest incorporation of local products, and largest participation of local staff and workforce. h depreciation of the equipment installed in Venezuela. The EWA also includes a description of the way that the DVA is to be valid in order to be taken into account for the assessment of the offers and establishes some aspects that will not be considered as DVA. Bidders are obliged to submit legal and financial information specified in the tender documents for the proper assessment of the bidder and his or her offer. If the information required by the awarding authority in the tender documents is not supplied by the bidder, the authority is obliged to disqualify him or her. The awarding authority is obliged to notify all the bidders of the outcome of the evaluation of the offers before the execution of the contract. Once the notification of the award has been performed, all bidders will have access to this information. Challenging awards is rare in Venezuela. Since the decision of the award is rendered by a government authority, administrative legal remedies are available. Unsuccessful bidders will have two main options: administrative remedies, including a reconsideration petition and an appeal before the highest authority; or judicial remedies, through applications for judicial review of administrative matters before a court of law. In practice, the time frames established in the law are rarely respected. According to the Organic Law on Administrative Proceedings, the administrative remedies should not exceed 15 working days in the case of a reconsideration petition or 90 working days in the case of appeal before the maximum authority. Judicial remedies are governed by the Organic Law on Administrative Jurisdiction 2010 and the proceedings may take a year and a half to reach the deliberation phase. However, it is extremely difficult to predict how long take the judge may take to render a decision. If the bidder decides to challenge the award of the contract through administrative remedies, the process is simple. A petition for reconsideration should be filed with the contracting authority that rendered the decision, and any documentary evidence should be produced jointly with the petition, but there will be chance to produce evidence up to the day before the decision is rendered. If the contracting authority dismisses the petition, the general rule is that an appeal before the maximum authority of the awarding entity may be filed. If the decision of the highest authority is to dismiss the appeal, the bidder is entitled to file an application for judicial review of administrative matters. The filing of administrative or judicial actions must not prevent the execution of the contract. The reconsideration petition and appeal before the highest authority must be filed within 15 working days of the decision being notified to the bidder. The mentioned deadlines are established in Articles 94 and 95 of the Organic Law on Administrative Proceedings. b if the administrative decision has temporary effects, within 30 days of notification. d when the decision has been rendered by an incompetent authority, or with complete prescience of the legal proceeding. Other defects or facts may bring a relative nullity of the decision. Article 121 of the PPA establishes that the contracting entity is obliged to set aside the contract when there is evidence that the award was granted without following the proceedings established in the PPA or any other rule governing public procurement, and when the contract executed differs from the terms and conditions established in the tender documents and offers. The courts are entitled to grant injunctions, set aside contracts, order new tenders and award damages for breaches of procurement law. Article 166 of the PPA establishes that public officers will be subject to administrative liability, which is sanctioned by the Controller General with a fine, because of the omission or the wrongful application of the bidding procedures provided for in the PPA. It is highly unlikely that there will be any developments in government procurement legislation in the mid term. The current economic situation in Venezuela has resulted in public contracting entities incurring breaches of contracts on a large scale because of a lack of payment to government contractors, regardless of how big the projects may be. Currently, several international contractors are exploring options to collect these payments from the government or state-owned entities, and it is possible that the initiation of legal proceedings before local courts or a new wave of international arbitration cases started by these contractors may force the government to reach a settlement of those disputes, or be subject to the enforcement of judgments or arbitral awards in other jurisdictions. 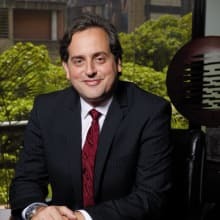 1 José Gregorio Torrealba R is a senior partner at Legˆa Abogados. 2 Official Gazette No. 39,165, dated 24 April 2009, amended on 19 November 2014, Extraordinary Official Gazette No. 6,154 and its Administrative Regulation established in Decree No. 6,708 (Official Gazette No. 39,189, dated 19 May 2009). 3 Official Gazette No. 41,318, dated 11 January 2018, the ‘Constitutional’ Law against economic war for rationality and uniformity in the acquisition of goods, services and public works.